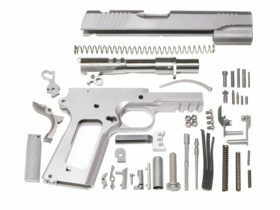 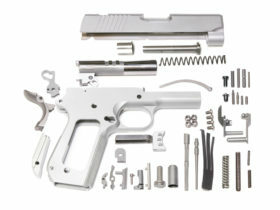 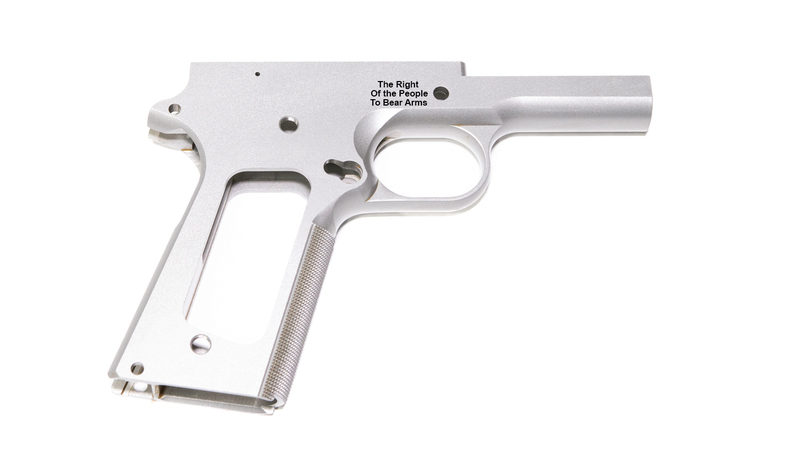 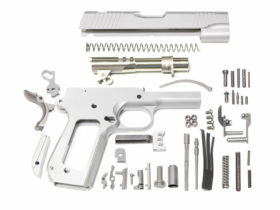 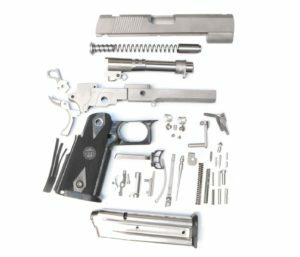 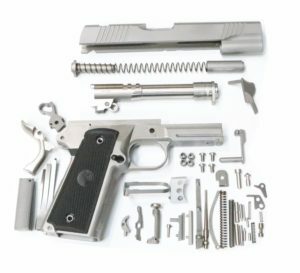 This kit contains all parts needed to finish your full size 80%1911. This is a not an FFL item. 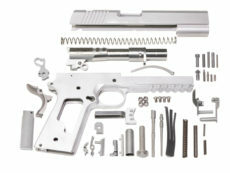 This is not a complete frame and still requires additional machining to be done. 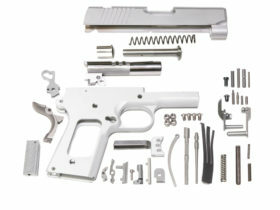 This kit is a bit tighter then our other kits and will require fitting. 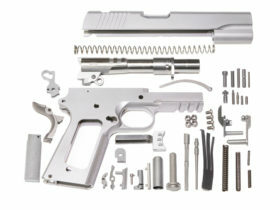 Kit does not come with sights or a magazine. 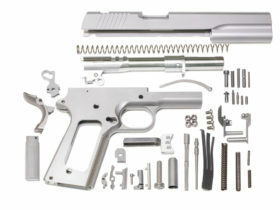 80% 1911 Frame in series 70. Frame is 416r ss with checkered grip. 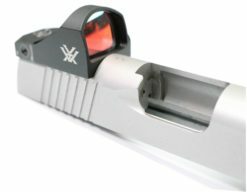 Slide is 4140 cs series 70 slide is cut for Novak sight. 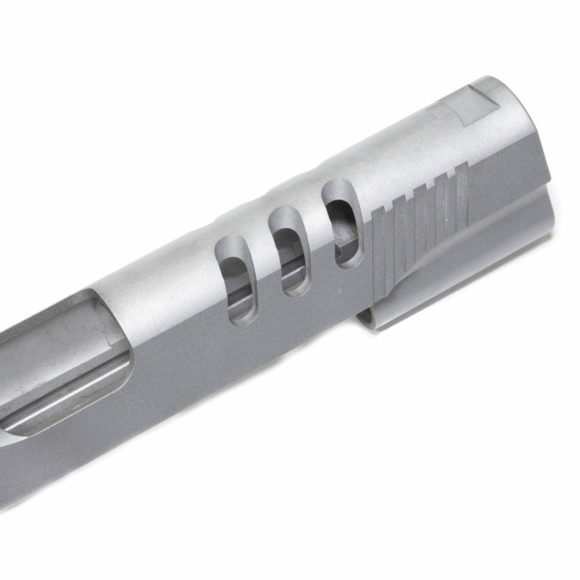 Forged 416r match grade barrel. 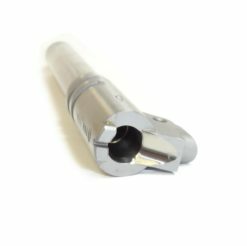 One piece guide rod ss.